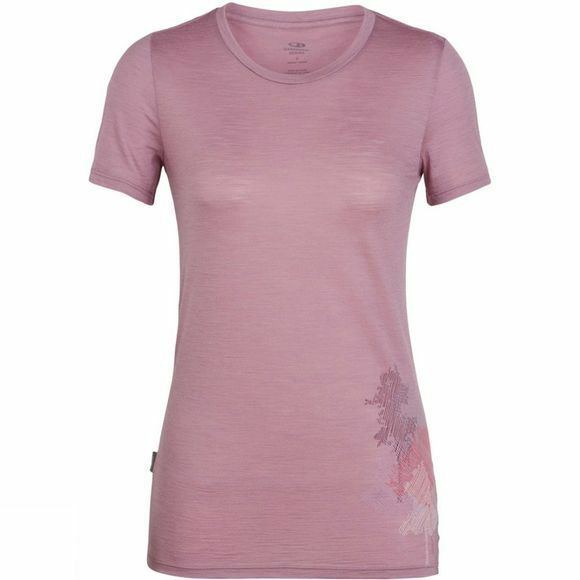 The Womens Spector Short Sleeve Crewe Top from Icebreaker is a classic and versatile merino T-shirt for year-round layering and comfort, the Spector Short Sleeve Crewe Through the Forest is everything your favorite shirt should be. The Spector’s airy, ultralight jersey fabric features a soft, breathable and odor-resistant blend of merino wool and nylon, making it perfect for epic days of traveling, impromptu hikes or any long day out and about. Offset shoulder seams help prevent chafing when you’re on the move with a backpack.